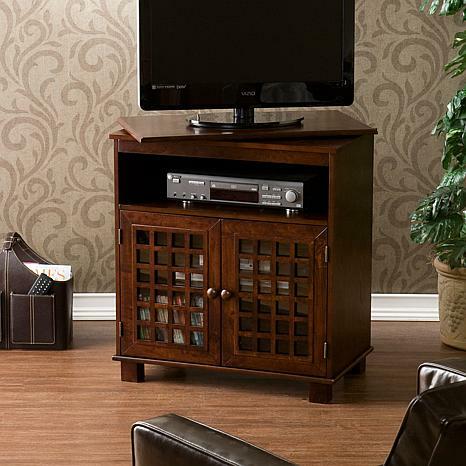 Perfect for any room in the house, this contemporary media stand has a swiveling top. With the ability to easily re-position your TV, any seat can be the best seat in the house. One medium shelf below the TV fits your media player and provides a hole through the back for easy cord management. 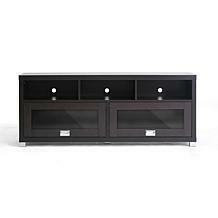 Below the shelf are two doors that open to reveal an adjustable shelf perfect for storing all of your favorite media. 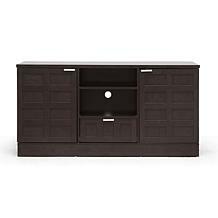 The espresso finish completes the unit with an elegant contemporary styling. 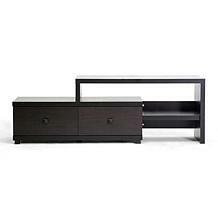 Excellent TV Stand That Looks Great And Easy To Assemble. I got this in the dark cherry color. It takes some assembly, but it wasn't too difficult. We have our flat screen on it, and it is great. You can swivel the screen in any direction you want. There was enough room for our soundbar in front. 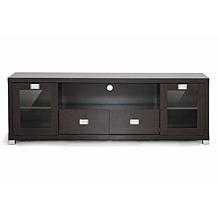 Below in the cabinet you can store gaming consoles, movies, and there is room for a dvr and blue ray. It looks like a pricey antique japanese cabinet. This took a little time to assemble but only because I am a 68 year widow in not the best of health. If I can put this together, anyone can. The assembled product is absolutely lovely and my tv fits perfectly. I especially like the storage compartments. It is very compact and a nice addition to the rest of my bedroom set. I highly recommend this purchase.